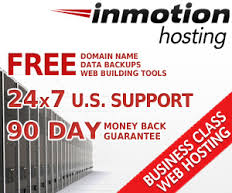 If you need Website Hosting – Inmotion Hosting is the BEST I’ve encountered when needing customer service – and they are inside the continental USA, so you won’t have to worry about your website hosted on the same servers as adult entertainment businesses and prone to hacking outside the country. They notify you via email if there is any ‘danger’ to your website via potential hacking – they close down the website immediately and notify you of any potential with steps to take to reduce the potential of pirates getting into and/or destroying your website that took 100s of hours to create. Looking for royalty-free, stock images you can use?